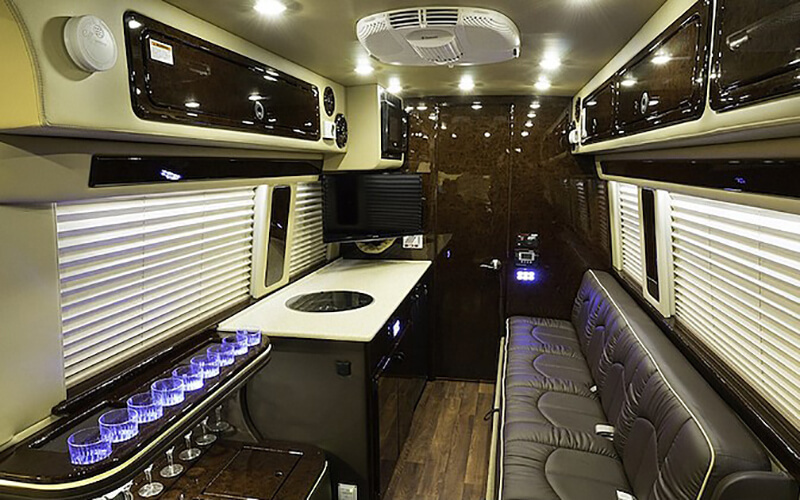 The Midwest Automotive Designs Daycruiser Sprinter has revolutionized the way families travel. Gone are the days when you pile the family into the rusty station wagon and embark on an adventure fit for the big screen. 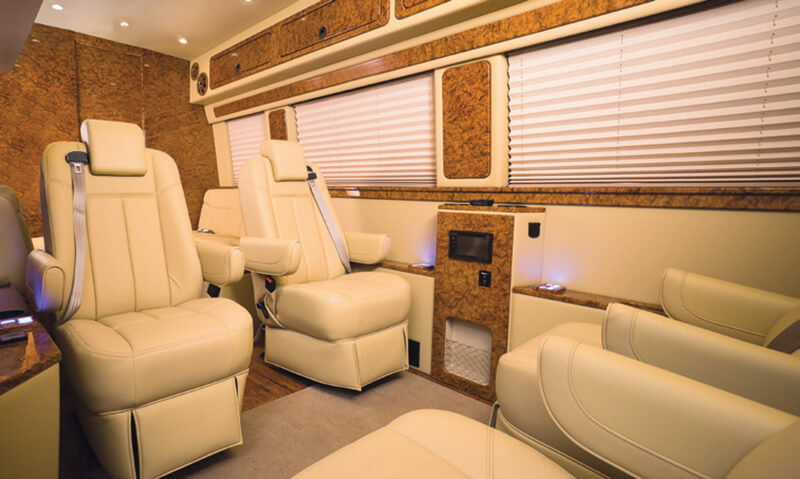 With the sleek and elegant frame from Mercedes-Benz, and luxurious seating that the poshest traveler would enjoy, this Daycruiser Sprinter is sure to draw attention. 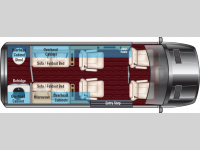 The interior comes in four awe-inspiring floor plans; be sure to stop by or call Vogt RV Centers to speak with a representative about your options. 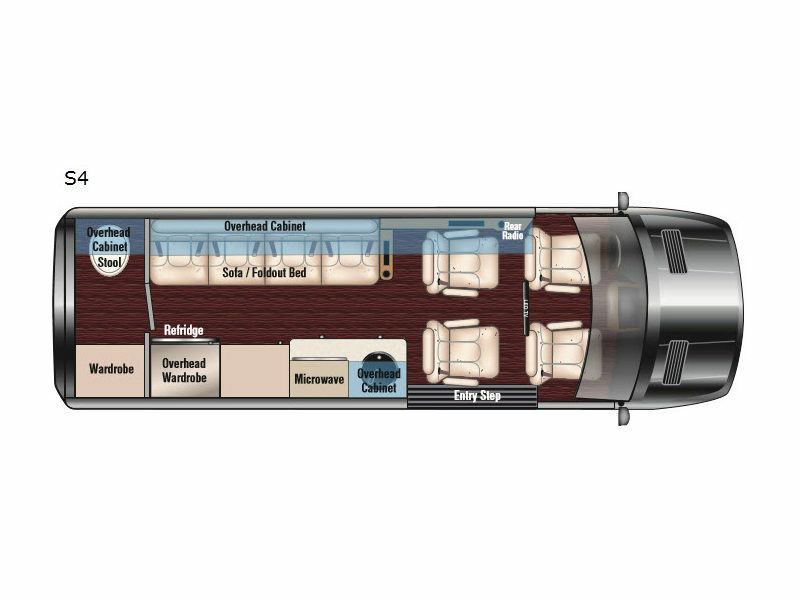 The interior design would not be complete without a television, blu-ray player, or audio system with subwoofer. This entertainment center, with optional Wi-Fi, is sure to keep the kids from asking if they have arrived at their destination. 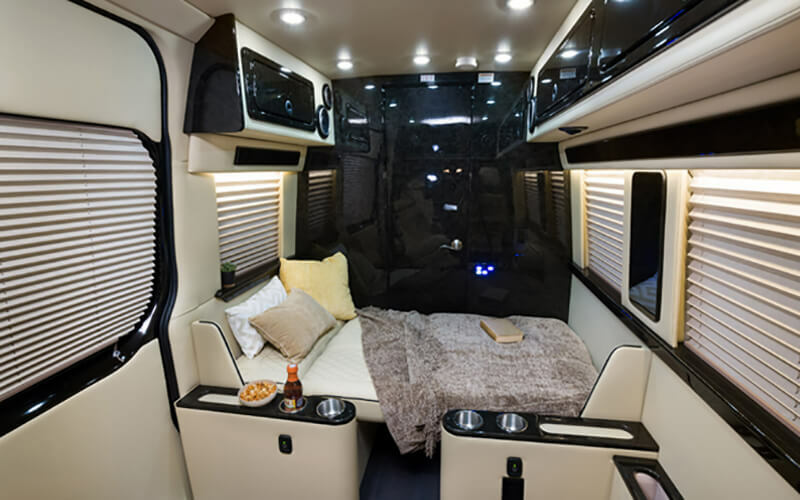 The Midwest Automotive Designs Daycruiser Sprinter has taken the most loved features from the conversion van and combined them with the most useful features of the trusty RV. 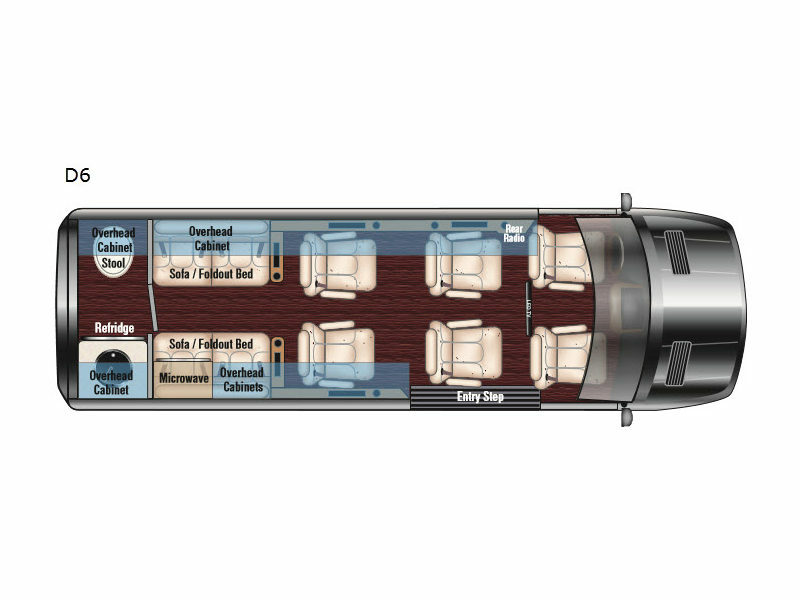 These state of the art travel companions have a quaint galley kitchenette that will be sure to prevent unwanted stops or aid in preparing meals when celebrating. 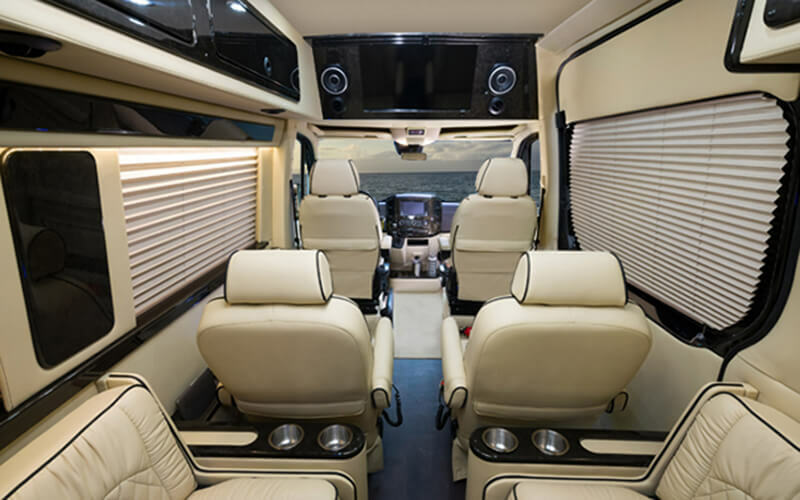 While the Midwest Automotive Designs Daycruiser Sprinter may have an interior that will have the kids talking long after summer vacation is over; the exterior is just as exciting. 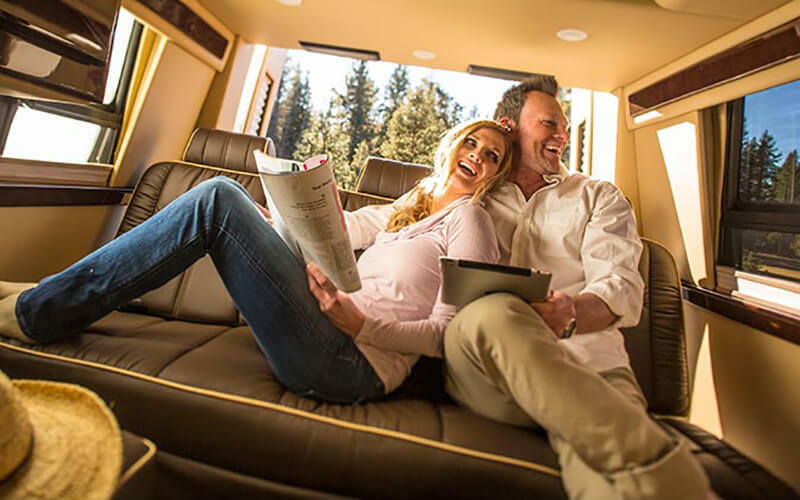 Featuring 16” wheels and a 4×4 Chassis upgrade and optional air ride suspension, this vehicle is ready to go where no RV has gone before. With rear hitch and wiring package, bring along an ATV to explore the Rocky Mountains or a jet ski and experience Pure Michigan. Innovative design makes city parking a breeze, so go on down to the stadium and celebrate the big game. No matter which way you go, the Daycruiser Sprinter will take you there. 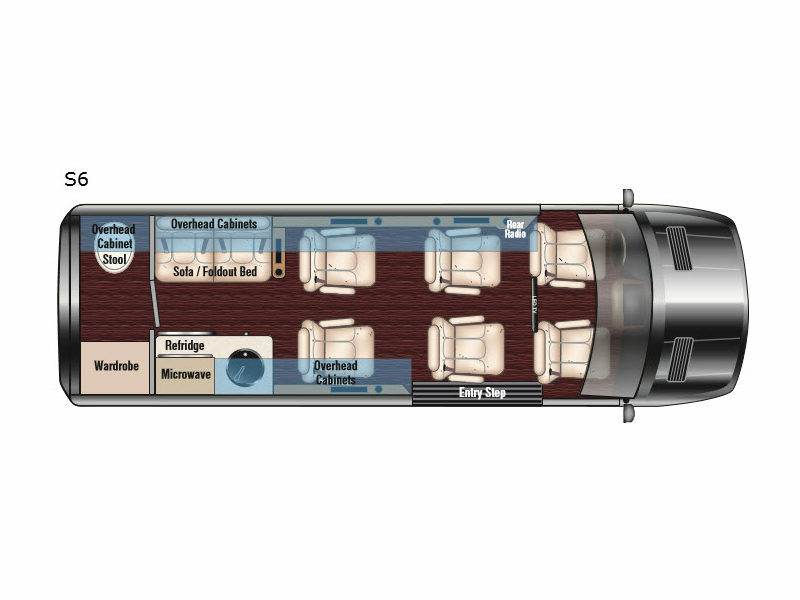 Expertly designed with you in mind, the Daycruiser Sprinter will take you where you want to go and will do it in style. 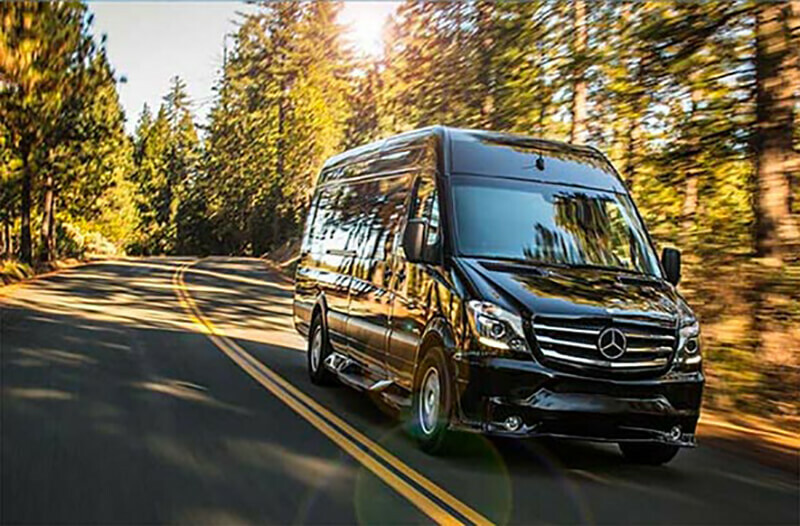 Whether it is traveling across the country, or up the road, the Daycruiser Sprinter is the missing piece of your unforgettable experience.